T20 Mumbai benevolently doled out customized jerseys to 46 teams at the Kanga Cricket League knockouts. 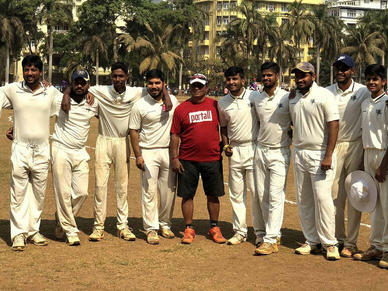 The Kanga Cricket League knockouts for the 2019 season had a serendipitous surprise from the T20 Mumbai league; as they gave customized cricket whites to 46 teams competing in games on Sunday. The whites had the teams’ names printed on the left corner of the shirt with the logo of the league embedded on the right to capture the sporting tradition of the city. The programme was organized around various prominent grounds of Mumbai where the Kanga knockouts were being played at Azad Maidan, Shivaji Park, Matunga Gymkhana and Cross Maidan amongst others. “The main purpose of an event like this was to spread awareness about the T20 Mumbai brand in the grassroot levels of the city’s cricketing circles,” said Kadar Makani, CEO & MD of Probability Sports. The coaches and captains of the respective Kanga knockouts sides were invited to present the cricket whites to their players as the programme was completed with great pomp and éclat. The players and team managers who received these whites were extremely ecstatic and humbled by this initiative undertaken by T20 Mumbai in accordance with the Mumbai Cricket Association (MCA). While many of the recipients of the whites had already registered themselves for the auctions of the upcoming season of T20 Mumbai, the event also helped pique the interest of a new batch of youngsters. 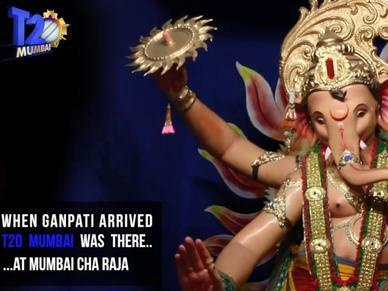 “I attended a couple of games in the first season of T20 Mumbai at the Wankhede Stadium. 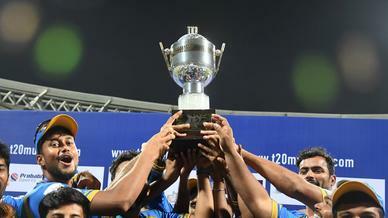 It was a great learning experience to watch all the established Mumbai cricketers play. This league has given budding cricketers an opportunity to play at the highest level and one day I too would like to play for T20 Mumbai one day,” said Yash Kripal, a player of Merry Youngsters, one of the teams playing the Kanga knockouts.